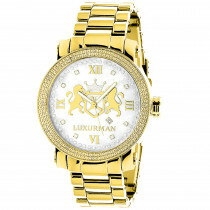 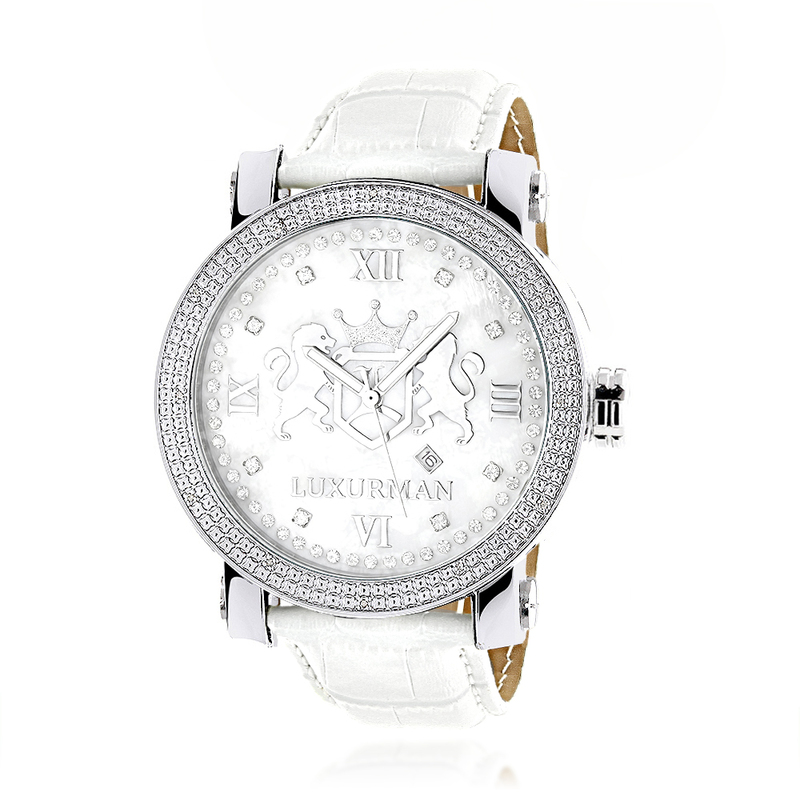 Designer Watches: This Luxurman Phantom Large Diamond Watch for Men White MOP features 0.12 carats of real diamonds, a stainless steel case with a white leather band, and a white mother of pearl face with distinctive Luxurman Logo. 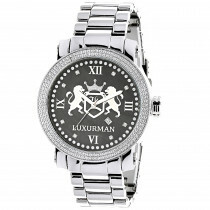 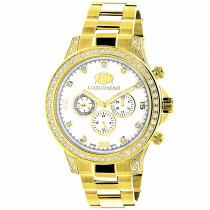 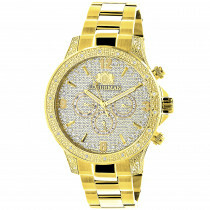 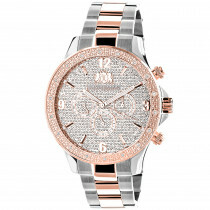 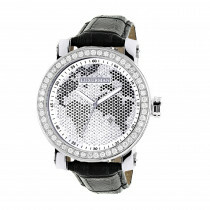 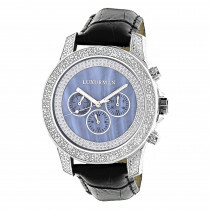 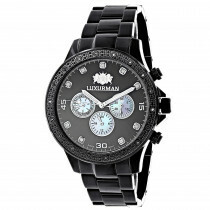 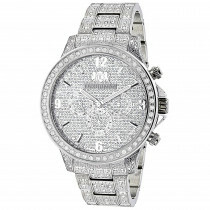 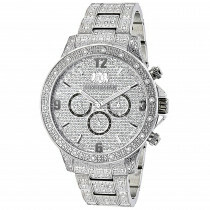 This LUXURMAN men's diamond watch showcases a fine Japan-made quartz movement and is water-resistant to 30 m (100 ft). 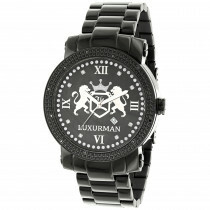 Brand new watch, with full manufacturer's warranty, retail box and two extra leather bands in different colors (colors may vary). 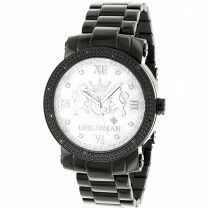 This watch is going to get me so many compliments on Spring Break! 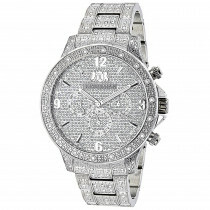 Awesome diamond watch for very little $. 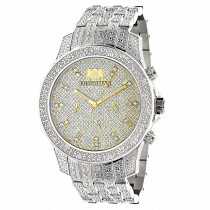 The mother of pearl face is a showstopper.